Brand new sealed in the box. (Take pictures, browse the web, listen to music and more with this fun tablet. 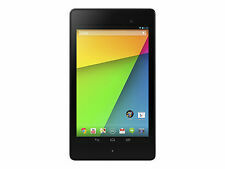 Android 4.4 Tablet. ASUS ZenUI for easy organization and prioritization. 2) This tablet is locked on AT&T network. Android 4.4 (KitKat) OS. Comes with original box Does *NOT* come with a charger or cable (uses common micro usb for charging) Used condition - everything works fine. There's a small chip on one of the corners and the shiny material for the "n" on the back is worn off. See pictures for more detail. 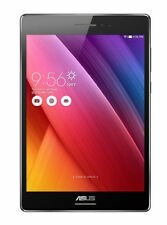 ( Model: ASUS ZenPad 10 P00C (Z300) 64GB - Gray ). Up for sale is a USED(then refurbished) ASUS Zenpad 10.1" Quad core tablet(Model: P00C 64GB). This device has been fully tested and has had all features verified. Asus Nexus Google. Wi-fi - 3G. 1st Generation. No scratches on screen. case and tablet are attached by Velcro labels. plus case (do do label has been remove). Item tested and works great! 16GB Comes with a generic sync cable, nothing else included. Please note, the sync cable provided is meant to be complimentary and not your main cable. Discounted Priority Shipping! Shows signs of normal wear such as scratches and dings. Thanks for looking!. 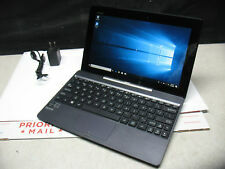 ASUS Transformer Book 64GB, Wi-Fi. Condition is Used. Charging port needs swapped out. That is the only thing wrong with this particular item. It has a fresh copy of Windows 10 on it as well and still has about 50% charge left at the time of this auction. Happy bidding! 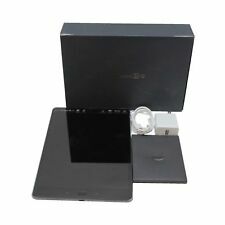 Verizon ASUS ZenPad Z8S P00J, 3GB RAM, 16GB, (WiFi 4G LTE) 7.9". ASUS ZenPad™ Z8s. Turn your device off and on with a single touch using ZenMotion technology. ZenPad gives you the option to draw a chosen letter for a quick way to access your programs. All functions test as working. ASUS ZT500KL. Never dropped. Screen is in excellent condition. No scratches or cracks. 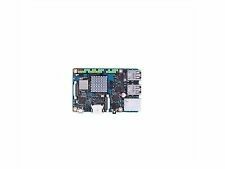 Make: Asus. 16GB storage. Q: Are Your Prices Negotiable?. BLINQ PROMISE. Enjoy 100GB of Free Google Drive Storage. Then, place a new order for the item of your choice. Android 7.0 OS. support up to 128GB SDXC. Item not needed?. If you would write ?. on the outside of the box and send it back we will make sure your item gets processed through the proper local downstream when it arrives! Unit can power up. No Exceptions. No cord / power adapter included. GreenCitizen ID. This unit include 8 gb SD CARD. Regarding Spam Filters Advertised rates apply. Average Battery Life (in hours)10 hours. Wireless Type802.11abg, 802.11. Screen Resolution1366 x 768. The device is AT&T. We do not unlock our devices for use on another service. You will receive the unit pictured. Android 4.0 Ice Cream Sandwich. 1 Headphone /Microphone. 1 Micro SD. 1 mini HDMI. All ports were tested. Charging cable and brick included. POWER ADAPTER. Founded in 1989, ASUS is a multibillion-dollar, worldwide tech hardware company based in Taiwan. ASUS offers an extensive number of products, including Wi-Fi routers, desktops, motherboards, monitors, projectors, servers, and tablets. When you have so much work to do you wish you could fit your desktop PC into your briefcase, an ASUS tablet is something to consider and keeps you up to date on projects, emails, and presentations. What can you do with the ASUS tablet? 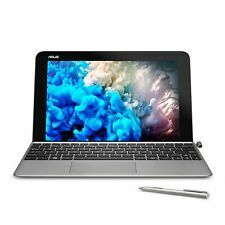 With its user-friendly operating system, this device is good for students, working professionals, and the everyday tablet user. The most recent models offer significant upgrades from previous models with improved audio, RAM, and camera quality. It is a good fit if you like taking high-quality photos and are an avid gamer or enjoy listening to music and watching videos at home. 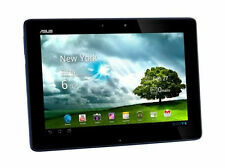 What are the features of an ASUS tablet? These tablets include GB storage sizes, including 8GB, 16GB, 32GB, 64GB, and above. The display screen sizes available are 7 inches, 8 inches, and 10.1 inches. The central processing units (CPUs) available are Qualcomm Snapdragon S4 dual-core and Intel 64-bit Intel Atom Z3530. The tablets also feature a dock and 3G and 4G networks. The ASUS ZenPad tablets have an array of features depending on the model. The Android OS ASUS ZenPad S 8.0 (Z580C) features 2GB RAM, ASUS VisualMaster, and DTS-HD Premium Sound. This model also features a 74% screen-to-body ratio, weighs 317 grams, and is 6.9mm thin. 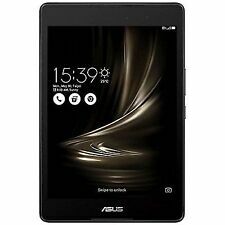 The Android OS ASUS ZenPad Z10 (ZT500KL) is a Verizon exclusive built with lightweight forged aluminum and features a 2K-resolution and a 9.7-inch IPS display. This model also features VisualMaster technology. ASUS VisualMaster is the incorporation of both software and hardware to enhance the viewing experience. VisualMaster also features additional ASUS technology, including a 178-degree viewing angle, 200% contrast, Tru2Life, TruVivid, and Bluelight filter. All of this technology combines to enhance the visual quality of the tablet's display by sharpening pixels and contrast. 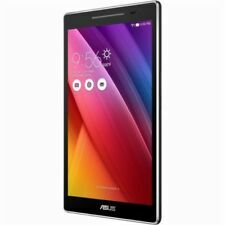 What performance features does the ASUS ZenPad Z10 have? The ZenPad Z10 contains a 7800mAh battery with Qualcomm Quick Charge 3.0 technology and a USB-C port. For music lovers, SonicMaster 3.0 is sound technology integrated into the tablet featuring dual speakers, 7.1-channel surround sound, and DTS Headphone:X. For gamers, the device features a Snapdragon 650 Hexa-Core processor, 3GB RAM, and Adreno 510 GPU.